The chief minister termed the ongoing sealing drive a "dangerous attack" on traders and said an all party-delegation, including his cabinet colleagues, would meet the Supreme Court-appointed monitoring committee to resolve the issue. 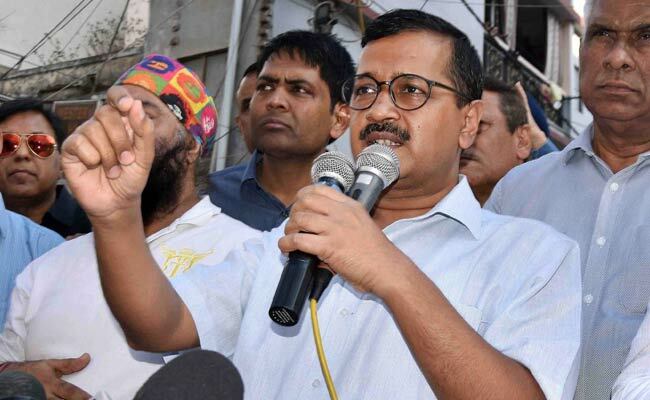 Arvind Kejriwal sought a moratorium on the drive to provide a relief to the city's traders. New Delhi: The Delhi Assembly today passed a resolution asking the centre to take steps to stop sealing in the national capital, while Chief Minister Arvind Kejriwal sought a moratorium on the drive to provide a relief to the city's traders. The resolution, moved by AAP lawmaker Sourabh Bharadwaj, stated that the "unjustified" sealing is a direct consequence of the "negligence and inefficiency" of the Delhi Development Authority and the municipal corporations. "The ongoing sealing drive in various markets has wreaked havoc among the traders and has left thousands of workers unemployed... Sealing should be immediately stopped. De-seal the already sealed shops," the resolution, passed by voice vote, stated. The resolution further stated that the centre should take all possible steps, including bringing a new bill or amending existing laws in the ongoing budget session of parliament to halt sealing with immediate effect. Countering the allegations of leader of opposition Vijender Gupta that the AAP government was not introducing a Bill to give relief to traders from sealing, Mr Kejriwal said the move will not yield any result as the DDA and municipal corporations do not come under the city administration. "Sealing is being carried out, but no shop of any politician has been sealed yet. Traders are facing a lot of problems. The immediate solution is that the centre bring a moratorium on sealing for two years. Meanwhile the government and other agencies can complete all formalities to amend the existing laws," the chief minister said. After the BJP leader refused to attend a meeting on the sealing issue at the chief minister's residence, in reference to the alleged assault on Chief Secretary Anshu Prakash by some AAP lawmaker last month, Mr Kejriwal invited Mr Gupta for a meeting at some other place to discuss the matter. During the discussion, Mr Gupta also accused the AAP government of not appointing prominent lawyers to effectively put up a strong case in the Supreme Court for halting the sealing drive being carried out since December. Responding to Mr Gupta's accusation, Mr Kejriwal said the Delhi government has appointed prominent lawyers, adding that if the leader of opposition has any other name, the government will go ahead with it. In the discussion, the AAP lawmaker demanded that the centre being an ordinance or amend the existing law to provide a relief to traders, while BJP legislators slammed the Delhi government, saying that it was not "serious" about traders' issues.